Made in California, this 2011 vintage red is a bottle of… well… delicious adult grape juice. That’s right. None for the children. It was one of the juiciest and fruitiest wines I’ve had in a while. It wasn’t multi-faceted and it didn’t have a layered complexity. It was, as I’ve said, some really good grape juice for adults. At 14% abv and $13.99 a bottle, this is the perfect choice for a night in watching a movie, or for bringing to a party. A most intense purple colour, the nose bursts with black cherry, black pepper, earth, dirt, and the sweetness of caramel. In the mouth, this dry, high acid wine has minimal tannin structure, so it’s velvety smooth. As it’s medium bodied (think 2% milk), it also handles a medium intensity on the palate. Again, loads of cherries, peppery earth, cloves, and dark plum will all shine through. Pepperwood Grove has been making wine for the last 20 years. Focused on creating versatile wines that appeal to a wide audience, Kitchens and Mercado-Martin appear to be successful with their vision. For the price point, this wine is one that should be tried. In addition to the Old Vine Zinfandel, Pepperwood Grove is also m aking Cabernet Sauvignon, Chardonnay, Sauvignon Blanc, Pinot Noir, and Pinot Grigio. Interested in trying an inexpensive fruit-forward and fun wine? 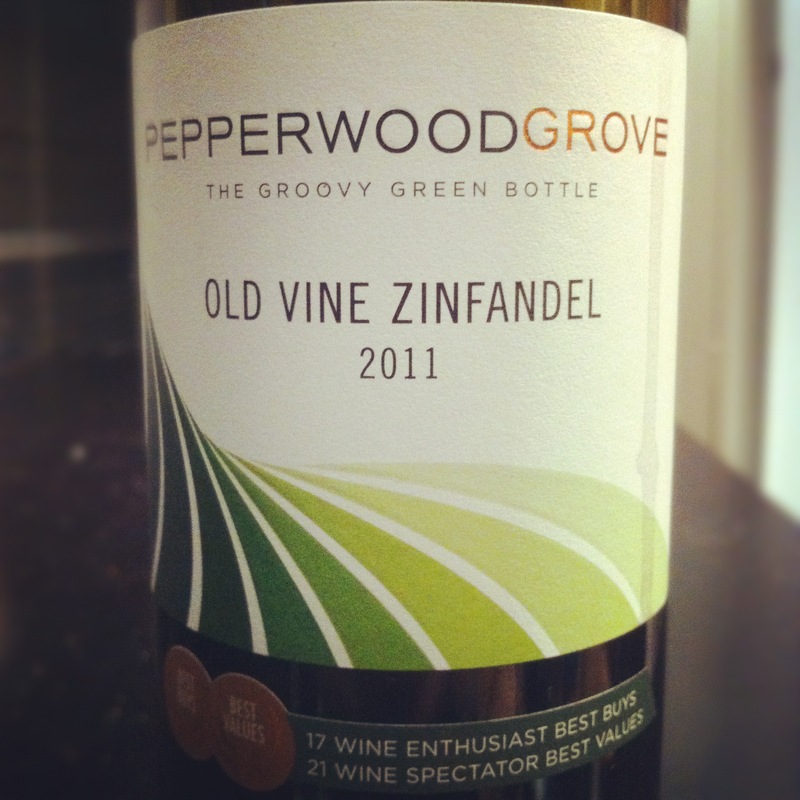 I’d totally recommend Pepperwood Grove Old Vine Zinfandel. 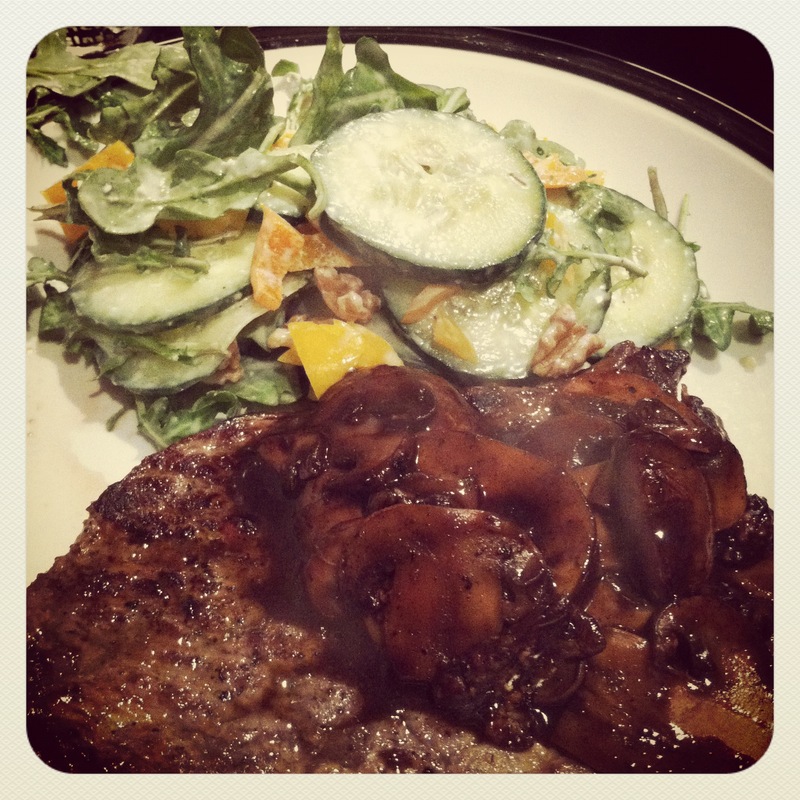 Paired perfectly with steak, sauteed mushrooms, and a carmelized pecan arugula salad. Available at Liberty Wine Merchants. It’s never too late to find that your ideas or understanding of a wine is similar or the same to another person. I think it’s great! As for good BC Cab Merlot, I’d suggest trying Hester Creek. Have you already? Also, thanks for checking out The Demystified Vine!